Off the Wall Area Saint Patty’s Day Celebration! 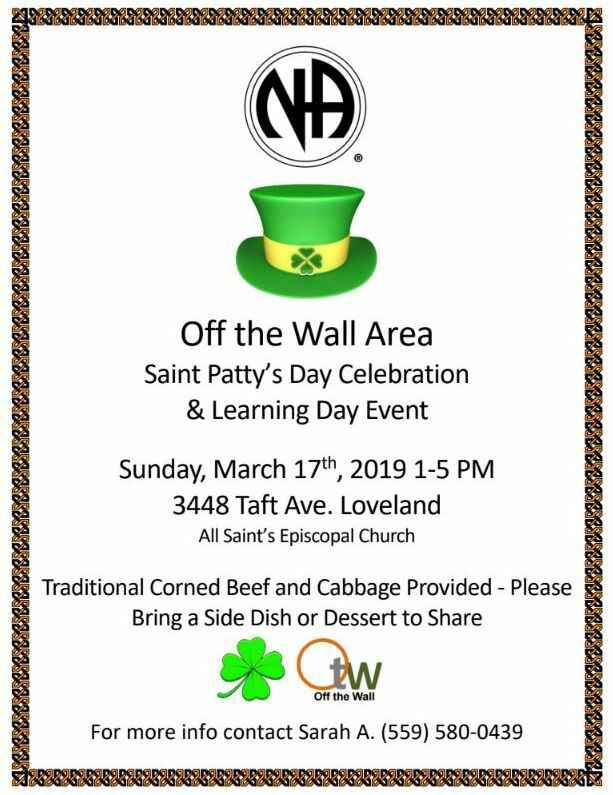 Off the Wall Area Saint Patty’s Day Celebration and Learning Day. Traditional Corned Beef and Cabbage Provided, Please Bring a Dish or Dessert to Share. GSR Training and a Traditions workshop along with fun food and fellowship!